Play these Flash or HTML5 based online slot machine games provided by Playson at Top Free Slots. No download required to play the games - just click on the image and wait for the game to be loaded in your browser window. You can play all these Playson Slots for free or try your luck for real money at sponsored online casinos. You can play classic slots or 5 reel video slots with multiple lines of payout, exciting bonus features, and wild and scatter symbols to increase your winning potential. 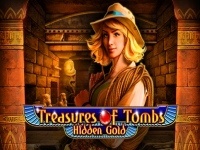 Get ready to scour ancient pyramids for forgotten treasures in Treasures of Tombs: Hidden Gold video slot by Playson! 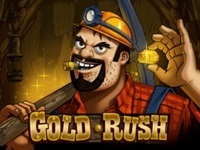 The game has 5-reels and 9-paylines of action featuring the Eye Wild symbol and Free Spins with special Bonus..
Gold Rush is a 5-reel 9 fixed lines slot machine which took the idea of California Gold Rush and put it in the convenient interface, so you can feel youself as a gold miner. 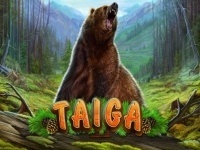 The game features a Detonator as a wild..
Taiga slot comes with 5-reels, 4-rows and 20-paylines to show how a beautiful forest can be. The bear is the wild symbol and substitutes for all symbols except the bonus. The bear is also Taiga's biggest payer, offering.. 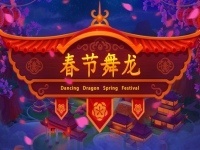 Dancing Dragon Spring Festival is a new 30 payline slot machine game created by Playson. Feel a little bit of spring wind in the mid of winter! Enjoy the lights of the 5-reel 30-paylineÂ Dancing Dragon Spring Festival slot.. This is a new 20 payline online slot machine from Playson. 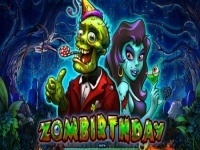 The over 150 year old story of Alice in Wonderland has been reincarnated in many forms over the years but none more spectacular than the..
Zombirthday is a new 20 payline slot machine developed by Playson. The free 10-payline Zombirthday slot machine at TopFreeSlots will you have you doing the Monster Mash all the way to the bank! This 5-reel.. This is a new 20 payline slot machine game created by Playson. Ho-Ho-Ho! Merry Christmas to you all! This winter we have a ton of fantastic Christmas slotsÂ prepared for you that could help provideÂ the..
Down the Pub is a new 20 payline online slot machine from Playson. 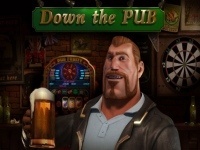 Down the Pub slot is the best place to visit on Friday night. The game is a terrific new slot from Playson and has 5-reels.. This is a new 20 payline slot machine developed by Playson. If you love simple fruit machines and pokies, you`re going to gobble this game up. 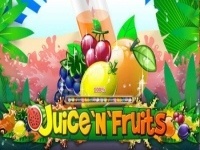 Coming at you is Fruits `n` Stars from Playson, a..
Juice N Fruits is a new 20 payline slot machine game created by Playson. When all you`re looking for is a good fruit machine, something from the good old days but with a modern flair, you`ll find it in Juice N`.. This is a new 20 payline online slot machine from Playson. Take to the skies in Sky Way slot machine, featuring 21-paylines across 5-reels. Your adventure takes place above 30,000 feet and well..
SpellCraft is a new 20 payline slot machine developed by Playson. Three witches will put a spell on you, but itâ€™s a good one! See what`s brewing in the cauldron for you in the 27-payline SpellCraftÂ slot.. This is a new 20 payline slot machine game created by Playson. When you see the flash of lighting and crack of thunder, you know the action is about to start and it certainly does in the classic 3-reel..
Aquatica is a new 9 payline online slot machine from Playson. Welcome to a new world of underwater fun in Aquatica slot machine, a fun little 9-payline video slot featuring lovable characters and.. This is a new 15 payline slot machine developed by Playson. Sink your teeth in Dracula`s Family slot machine, a thrilling 15-payline video slot featuring all of the members of Dracula`s notorious.. Happy Jungle is a new 20 payline slot machine game created by Playson. The happiest place on earth has got to be the place where even the animals are smiling. Welcome to Happy Jungle, the friendliest and.. This is a new 20 payline online slot machine from Playson. The Lucky Reels slot from Playson is a great 3-reel classic slot machine that comes with 5-paylines which is a bit more than usual.Â The..
Marioni Show is a new 10 payline slot machine developed by Playson. Watch the best puppet show of the famous Marioni dealer, who hides aces down his sleeves! His cards will bring you winnings multipliers, so.. This is a 21 payline slot machine game created by Playson. 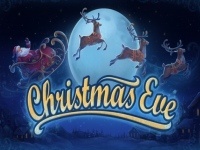 rr Online developerÂ PlaysonÂ in this game version sought to celebrate all things merry. The 21 pay lines, 5 reels machine offers payouts..
Pirates Treasures is a 21 payline online slot machine from Playson. rr Got bored of pirate games? Cheer up; it is time to chase the treasure when you play Pirates Treasures free slot, a new incarnation from.. This is a new 15 payline slot machine developed by Playson. Discover the treasures of the universe with the brand newÂ Space LightsÂ slot machine by Playson! The mysteries of the universe will become..
Time Warp Guardian is a new 20 payline slot machine game created by Playson. Time and Space are in dangerÂ but there is oneÂ hero who canÂ rescue us.Â The Time Warp GuardianÂ is here in a new 5-reel and 243 Ways to.. This is a new 9 payline online slot machine from Playson. Join in all of the ancient Egypt exploration action in Treasures of Tombs slot online, a 9-payline game from Playson that features a.. The Aquarium slot offers 30 paylines to enjoy the slot where Playson designers combined 2 popular slot themes in one: aquatic fauna and fruits. With the sound of water bubbles and habits of just funny creatures to.. This is a new 21 payline slot machine game created by Playson. Theft is an art, one that takes years to perfect. But you have a great opportunity to learn from the greatest thiefÂ of all time, a fella..
Burlesque Queen is a 21 payline online slot machine from Playson. rr With the Burlesque Queen slotÂ machine game, players can enter the fascinating, mysterious and provocative world of Amphigory powered by.. This is a new 20 payline slot machine developed by Playson. Enter the lair of the Sheikh and live like a King in the 5-reel 21-payline video slot, Eastern Delights! In a land rich with spices..
Space Corsairs is a new 20 payline slot machine game created by Playson. Aight, rats! All on board! That ship has our reward. We are several parsecs away from it. Aim those laser cannons!” Now that we have.. This is a 21 payline online slot machine from Playson. rr Themed around the community of fans, Aztec Empire slotÂ machine offers a taste similar to that of the ancient Egyptian ways, but with a..
Bumper Crop is a 27 payline slot machine developed by Playson. rr When youÂ play Bumper Crop free slot, you will find that it is neither a progressive nor bonus gamble. Rather, it is a video machine.. This is a 30 payline slot machine game created by Playson. rr The Odysseus free slot is a PlaySon's video machine of common 5 reels, 3 rows, and 30 non-fixed lines. This machine portrays a theme.. Fruits of the Nile is a new 5 payline online slot machine from Playson. The River Nile gave life to endless fields and gardens of ancient Egypt, so now you can just enjoy those fruits and regular payments in the.. This is a new 9 payline slot machine developed by Playson. In the majestic world of the aboriginal, hunting is survival and ceremonial. With all of the fun and wins you`ll be experiencing in the.. Fruits Of Ra is a 5 payline slot machine game created by Playson. 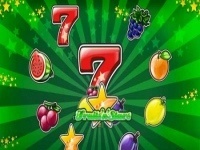 rr Fruits of Ra is a free slot machine game developed byÂ Playson, consisted of 5 reels and 3 rows and with 5Â betlines. There are 9.. This is a 9 payline online slot machine from Playson. rr The Lucky Pirates free slot is a PlaySon's fruit machine with 5 reel and 9 customizable lines. This is a pirate-themed slot with the sea..
Magic Forest is a 1 payline slot machine developed by Playson. 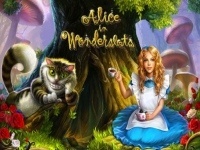 rr Magic Forest slot game is another free online video game from Playson. Developed as a fantasy theme, it's interesting enough to catch.. This is a 1 payline slot machine game created by Playson. rr Cleopatra is a famous queen of Egypt that was known for her beauty. She was married to her younger brother just to be able to take a..